Can Asian news media charge for digital content? According to the World Association of Newspapers and News Publishers (WAN-IFRA), news media's circulation revenues overcame their advertising revenues, on a global basis, in 2015. Concurrently, print circulation is declining on most markets. In this context, are Asian news publishers ready to charge for their online content? 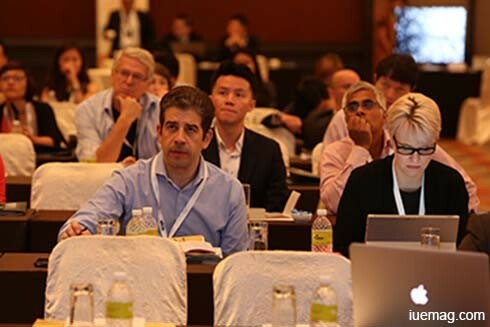 This, along with new content formats (live video, VR), digital advertising, distributed content or strategies for growing digital revenues, will be one of the topics discussed among 300 media professionals who will gather at the forthcoming Digital Media Asia conference in Singapore, on 8-10 November. 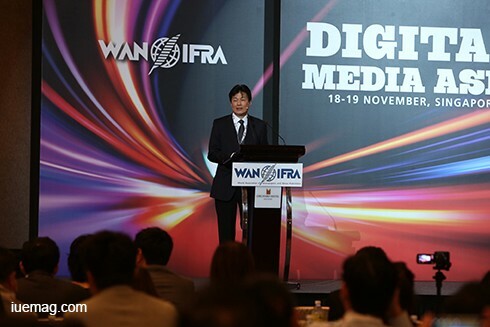 Since its launch in 2009, Wan-Ifra’s Digital Media Asia (DMA) conference has grown to become the largest digital event dedicated to the publishing industry in Asia. It includes one day of masterclasses delivered by highly qualified trainers – this year, Chris Lee, the CEO of Deseret Media Digital and Data journalism expert Kevin Anderson (formerly from The Guardian and USA Today) – two days of conference packed with exciting sessions and featuring world-class speakers, the presentation of the Asian Digital Media Awards winners and a digital products and services Expo. While most Asian publishers are still reluctant to charge for their online content, this trend is gaining strength in other regions. In the USA, over 50% of the news publishers are somehow charging for part of or all their content online. As for The Economist, the London based publisher claims it has seen its digital subscription revenues grow by 30% in the first half of 2016! But if global media brands and business papers have been able to implement paywalls from an early stage, will this trend ever benefit tabloids and general interest newspapers? Digital Media Asia 2016 will launch this conversation with inspiring case studies from Europe: while French national daily Liberation is softly implementing a paywall based on the readers' attention (instead of the number of articles read), Axel Springer's highly popular German tabloid, Bild, is launching a Premium content section! Beyond the paywall issue, publications such as The Wall Street Journal, The FT or the Times will share at DMA how they engage with their audiences on social media platforms and convert frequent users into subscribers. In parallel, news publishers are of course exploring alternative sources of revenues, such as local mobile businesses at Deseret Media (USA) or an online video platform at Sin Chew's MCIL Multimedia (Malaysia). The Times of India, Singapore multimedia group’s MediaCorp, TechCrunch, Kompas Cyber Media, Chosun Ilbo, Google or Singapore Press Holdings are also among the confirmed case studies to be presented at DMA. A detailed conference programme is available at http://dma.wan-ifra.org. The Orchard Hotel, 442 Orchard Road – in the heart of Singapore's premier shopping and entertainment district – is the venue and official hotel for DMA 2016. Publish Asia delegates and exhibitors/sponsors will enjoy a special rate. To register, please contact Wilson Leong at +65.6562.8446 or wilson.leong@wan-ifra.org. For more information on sponsorship or exhibiting, please contact Nurul Fitriyana at +65.6562.8444 or nurul.fitriyana@wan-ifra.org. Any facts, figures or references stated here are made by the author & don't reflect the endorsement of iU at all times unless otherwise drafted by official staff at iU. This article was first published here on 25th October 2016.